Steaming is an indirect cooking process which means delicate ingredients can be gently cooked to retain their flavour and nutrients. The benefit of steaming cabbage is that it doesn’t produce the unpleasant smell associated with boiled cabbage. Even though all types of cabbage can be steamed, white cabbage, napa cabbage and pak choi are the most suited to this cooking technique. More robust cabbages such as red and Savoy will work, but are better suited to more dynamic cooking techniques such as braising or sautéing. 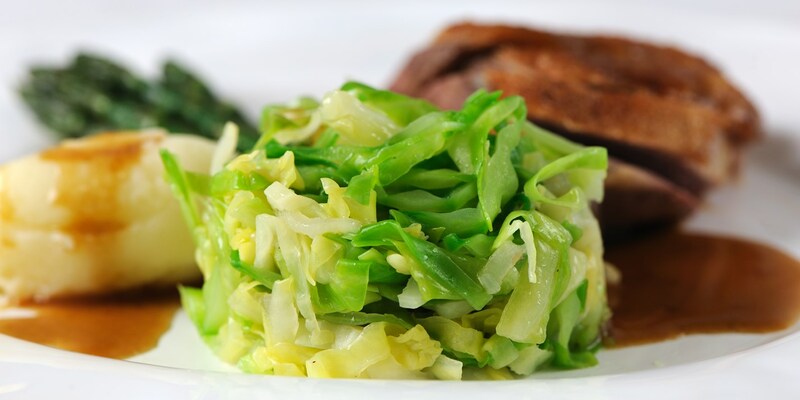 Simple steamed cabbage is one of the great side dishes, offering light relief from all manner of rich, hearty dishes. Serve with a Sunday roast for a stress-free side, doused in plenty of gravy.